1 SHOP, SHOP, SHOP: Grace Community Church’s fall favorite, Country Store, will be open Friday and Saturday featuring an assortment of items ranging from furniture to holiday decorations. Hours are 8 a.m. to 6 p.m. Friday and 8 a.m. to 2 p.m. Saturday. Items will be sorted into 16 departments. Proceeds benefit local charities and the church’s school, Grace Christian Academy. Celia Shortt Goodyear/Boulder City Review People from all over Nevada, Arizona and Utah attend Grace Community Church's Country Store, which will be held Friday and Saturday, Oct. 19 and 20. 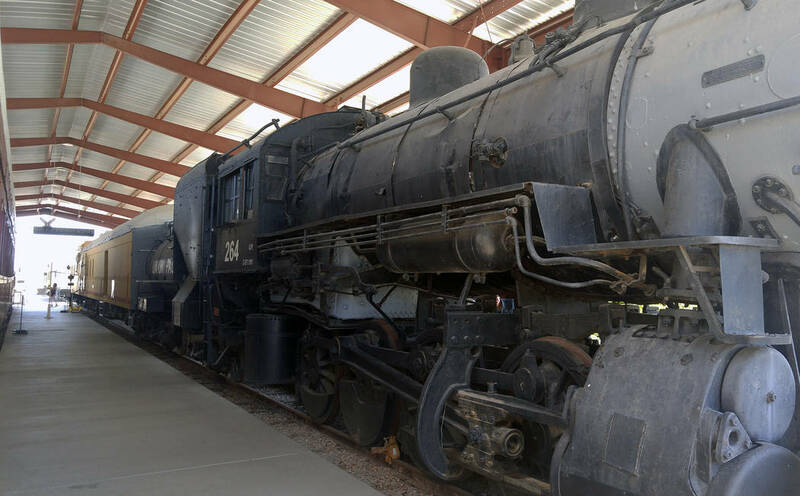 The Rotary Club of Boulder City will host Brews and Choo-Choos on Friday, which will take participants on a train ride and offer a selection of beers from a local brewery. 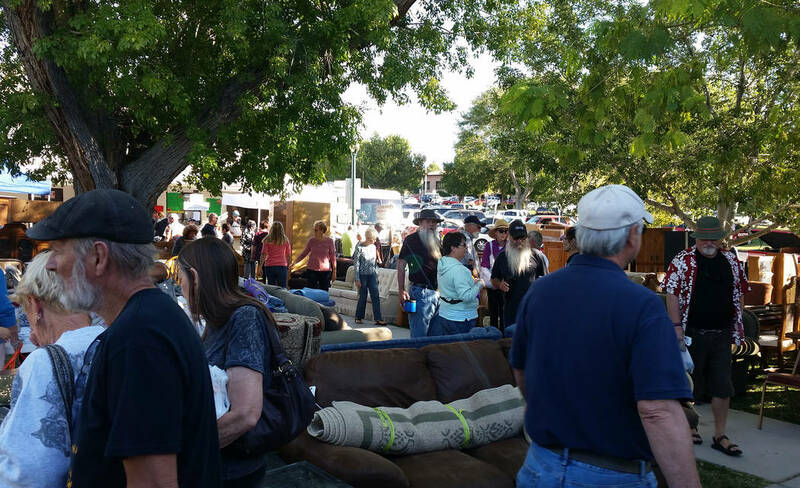 The festivities start at 4:30 p.m.
2 ALL ABOARD: Join the Rotary Club of Boulder City for its inaugural Brews and Choo-Choos, an evening of beer and a special ride on the Nevada Southern Railway. There will be entertainment and an opportunity drawing for a variety of gifts and excursions. Tickets are $50 for first class and $25 for coach; they can be purchased at the Boulder City Chamber of Commerce, 465 Nevada Way. The depot is at 600 Yucca St.
3 NOT QUITE DEAD YET: Zombies will invade downtown for the eighth year when Boulder Dam Brewing Co. joins with the Zombie Squad and Ninkasi Brewing to host the annual event. There is a $5 donation to participate in the Zombie Walk, which begins at 7 p.m. There will be four live bands performing throughout the night at the Brewpub. Proceeds will benefit Nevada Partnerships for Homeless Youth. The Brewpub is at 453 Nevada Way. Call 702-243-2739 or visit www.boulderdambrewing.com for more information.